The seventh annual Ragdale Ring design competition has been won by David Costanza of David Costanza Studio (DCS) and Piergianna Mazzocca for Shared Beds. 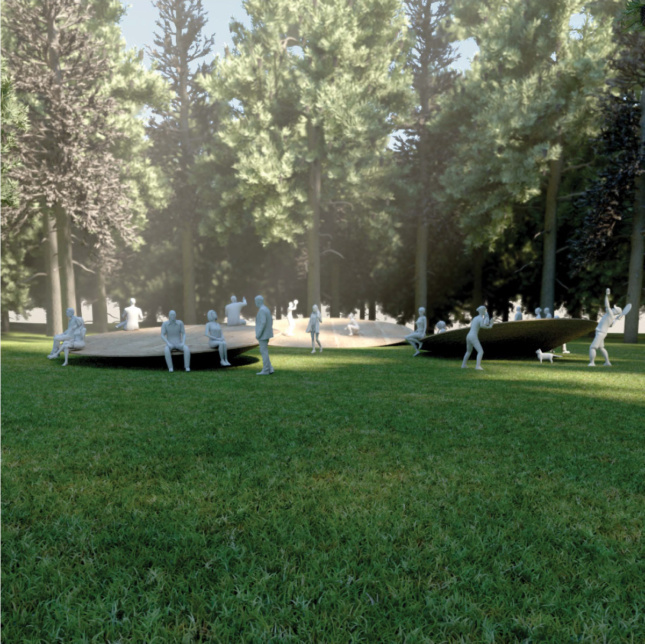 Three wobbling, communal “beds”—reminiscent of Frida Escobedo’s Civic Stage at the 2013 Lisbon Architecture Triennale—will be built in Lake Forest, Illinois‘s Ragdale Ring garden in May and will host performances beginning in June. The Ragdale Ring competition is run by the nonprofit Ragdale Foundation, an artists’ residency in Lake Forest. Every year, young architects are invited to reinterpret the open-air Ragdale Ring theater designed by Howard Van Doren Shaw in 1912 through interventions that blend architecture, sculpture, and landscape design. 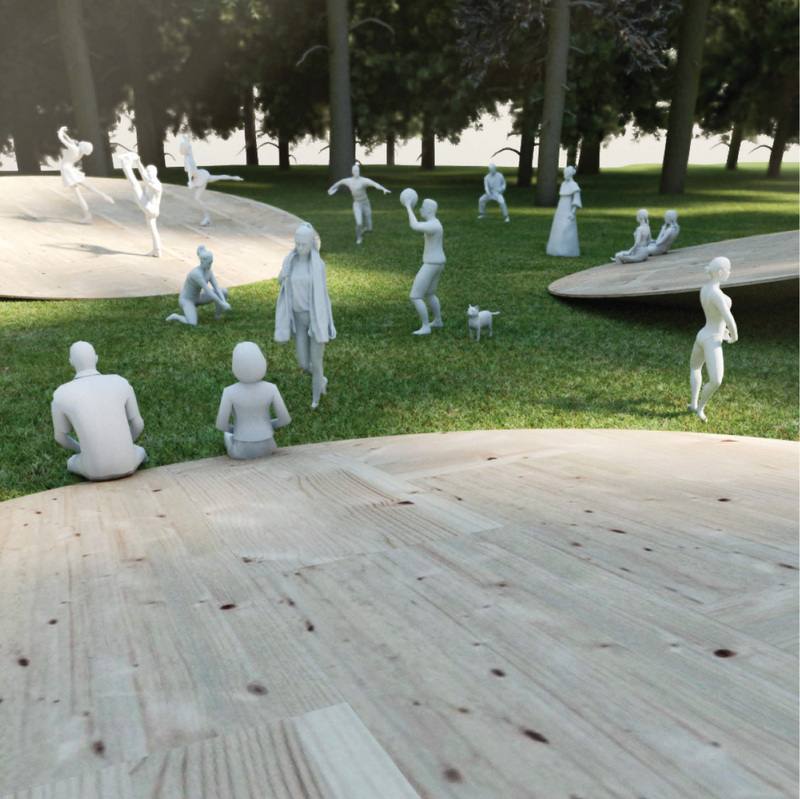 Shared Beds, the winning submission from Houston-based partners Costanza and Mazzocca, contrasts the ever-changing and multi-purpose wood discs with beds, typically thought of as static objects. Two smaller discs join a larger disc that can be used as a stage. The movements of the players and visitors ultimately determine how each “bed” moves, and what it can be used for. This year’s Ragdale Ring jury included the Columbus, Ohio-based past winners Galo Cañizares and Stephanie Sang Delgado, who installed the loopy, mutable Noodle Soup at the garden last year. Zurich Esposito, executive vice president of the AIA Chicago, Ryan Biziorek of Arup, Jeffrey Meeuwsen, Ragdale’s executive director, and Regin Igloria, the Ragdale in Schools manager, rounded out the rest of the jury. 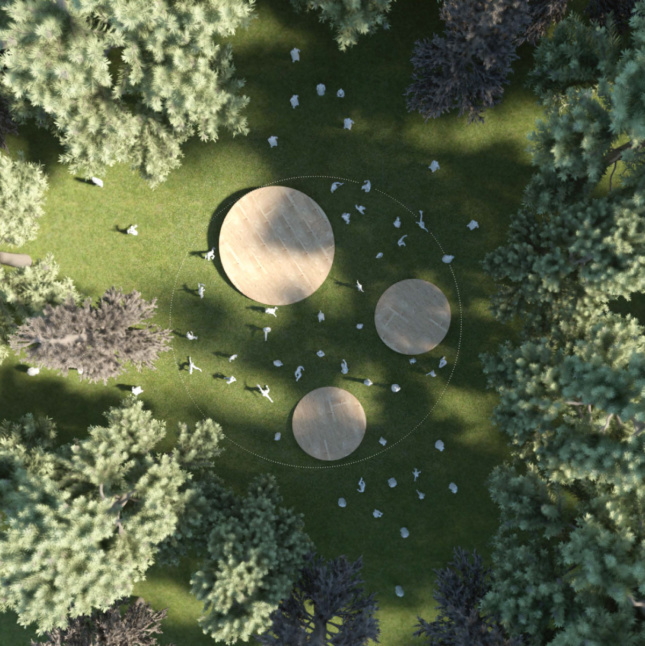 Shared Beds was chosen from a pool of six finalists. Costanza and Mazzocca will be given a design-build residency at Ragdale and a $15,000 budget to help them build out Shared Beds for the debut in mid-June.